Nickel hydroxide and manganese dioxide are most widely positive electrode materials in alkaline cells. 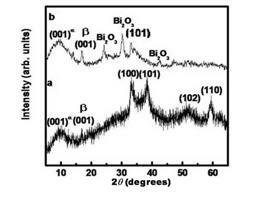 Addition of bismuth oxide to manganese oxide during electrode fabrication results in the utilization of reversible 2e exchange. In this article we have examined the role of bismuth oxide as an additive in different type of structurally disordered as well as highly ordered ß-phase of nickel hydroxide electrodes. Chemically co-precipitated bismuth doped nickel hydroxide composites have also been prepared and their electrochemical property have been reported.